Wow, this is a little bit off the normal. We are used to seeing her share her usual raunchy photos, so this is a relief for us. 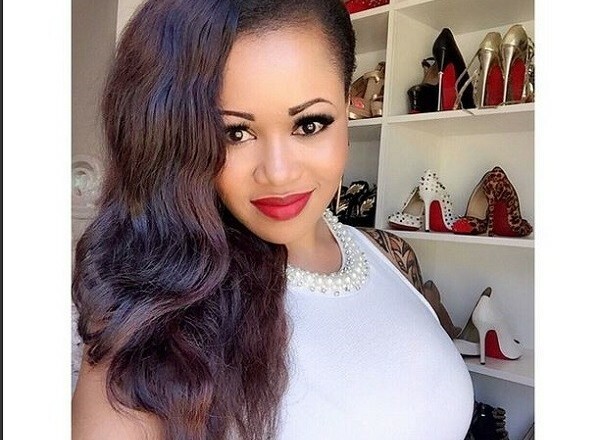 The controversial Kenyan raunchy video vixen, Vera Sidika shows off her collection of several designer shoes. The curvaceous model, who has reduced the frequency with which she posts raunchy photos and twerk videos on social media took to her Instagram account on Thursday, March 13, 2015 to show off her impressive shoe collection. Daddy Showkey Celebrates His 45th Birthday Today!! !